I recently dug up a find of great archaeological significance. 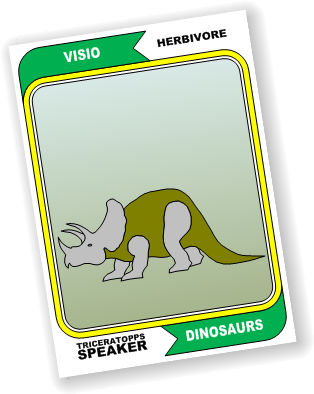 Yes folks, the Visio Dinosaur Shapes from 1993 have been resurrected! Come on in and find out more about these lovable guys, and get the download ..for your kids! 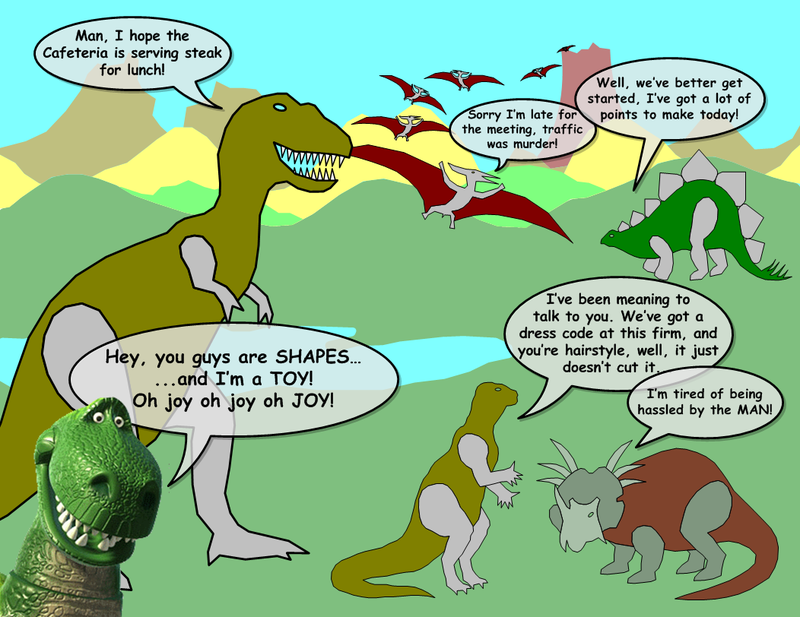 This morning I experienced dinosaur convergence from all angles. 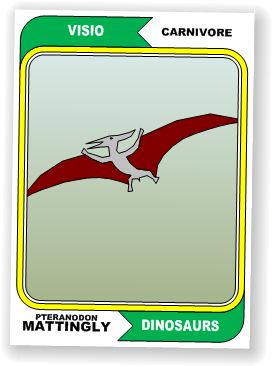 First, I ventured deep down into a directory on my hard drive which hadn’t been visited since…prehistory. And lo! 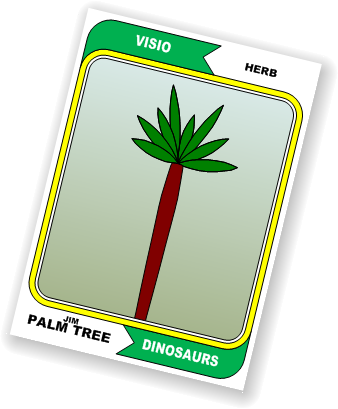 I excavated a true artifact: the Visio Dinosaur Shapes! Speaking of fossils, a few minutes later my Dad sent me a (missing) link to an article in Basil and Spice by my aunt, Maria Corkern. Maria is a teacher and an author, and has recently published a highly-rated children’s book entitled: Doris Thesaurus. 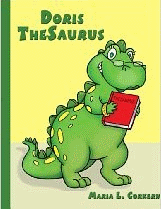 Doris Thesaurus is a children’s book that helps kids to enjoy and improve their writing skills. 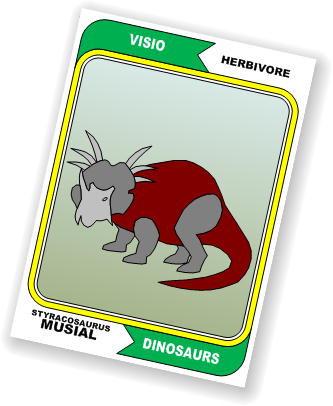 By introducing them to the thesaurus in a lively, illustrated manner, the young ones learn that playing with prose can be a pleasant practice! Check out Doris Thesaurus for yourselves! 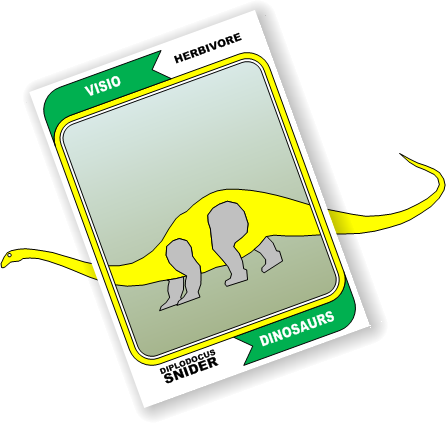 With all that dinosaur energy in the office I just had to write this article, offer the download, and plug Maria’s book! Back in 1993, Visio Corporation launched a less-than-successful product: Visio Home. The concept was that people must need diagrams at home too! 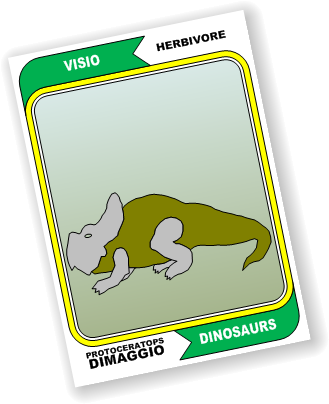 So Visio Home contained content for yard and furniture diagrams, sports fields, and some stuff for the kids, including Dinosaur Shapes. These Lost Shapes are so ancient, I can’t imagine Microsoft will get bent out of…shape…for me releasing these into the wild, free of charge. 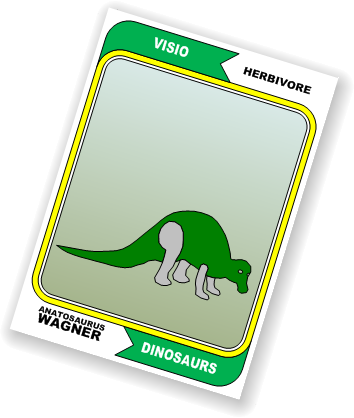 Keep in mind that in 1993, we still had concerns as to how many floppy disks a release of Visio would consume, so the graphical sophistication of the shapes is…well, they’re primitive! That, and a significantly smaller color palette should keep you laughing for hours that we tried to sell this stuff! 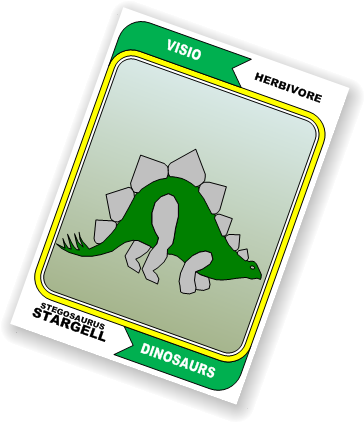 The Visio Dinosaur stencil has a whopping 14 shapes. 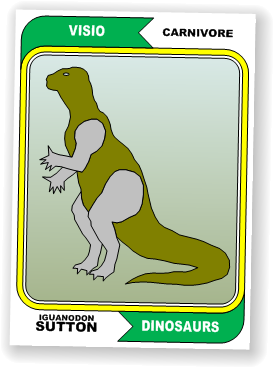 That’s enough for a team, plus a pretty good bull-pen, so I thought I’d introduce the players in baseball-card format. 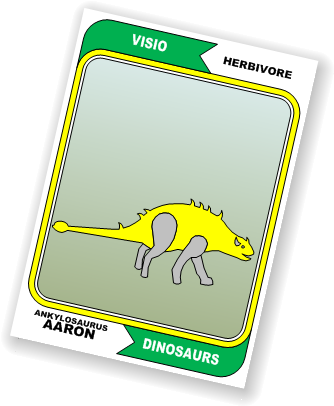 Disclaimer: the baseball card frames don’t come with the download, and I make no claims as to whether or not I guessed correctly on “herbivore” vs. “carnivore”. 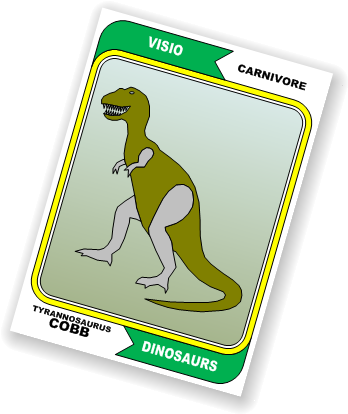 Of course, you’ll need the Word Balloon Visio SmartShape to make your drawing this snazzy. 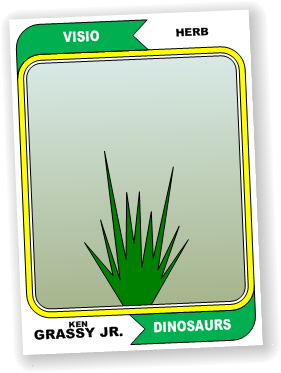 Enjoy the dino shapes and let us know what creative uses you put them to! 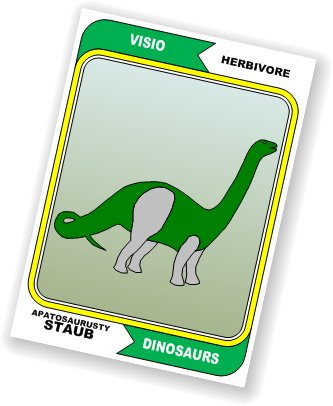 The dinosaur shapes pre-date the acquisition of Visio by Microsoft, so they might not even *be* a Microsoft property. I ran across a diskette the other day that the Visio team gave me when they were doing some kind of drive-by marketing presentation in Dallas a loooong time ago. Glad to see they’re still up and around. The main reason I did this post is because I wanted to try my hand at drawing that translucent “amber’ you see at the start of the article. Hi Chris. Thanks for plugging my book. That was really nice of you. If you know any educators, I offer a lot of classroom ideas on my website, as well. Came across this looking for stencils. I purchased Visio 1.0 way back when and when I upgraded (to 1.1?) 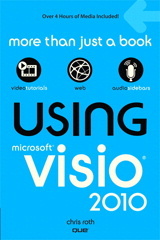 Visio offered a free stencil with the upgrade. 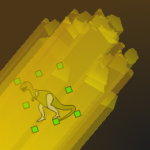 I chose the Dinosaurs. 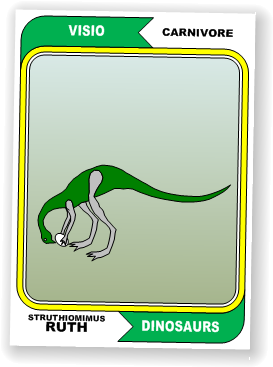 My older son (now 23) was a dino fanatic! Came on their own floppy (A size). I think I actually have the floppy buried in the attic. Your download is way easier to use these days — none of my computers have a floppy now!